So today I'm going to be sharing what I've been enjoying in the month of June and I must say this month has definitely been one of the best months of this year so far for me. I passed my driving test and got myself a car which I love. I have opened my eyes to some new opportunities which whilst I'm typing this I'm hoping they take off which we will see. This month was also my birthday which I have to say I celebrated me passing with my birthday so in a way I'll never forget my 20th birthday. Less of the chit chat let's get into the things I've been loving this month. So this month I've been going for a more of a natural base and more of a dramatic eye look as I've been enjoying testing out my new eye shadow palettes and eye shadows. This month I decided to try out different things with my photography for my blog and try more of a 'Flatlay' style which I know every blogger does but I just feel it looks and fits nicely with my blog design so I'm glad I tried it out. I bought a lot of new make-up bits for my birthday that I've wanted to try for a while and I'm so glad I picked them all up as I love everything I bought but I'll talk about them more below. 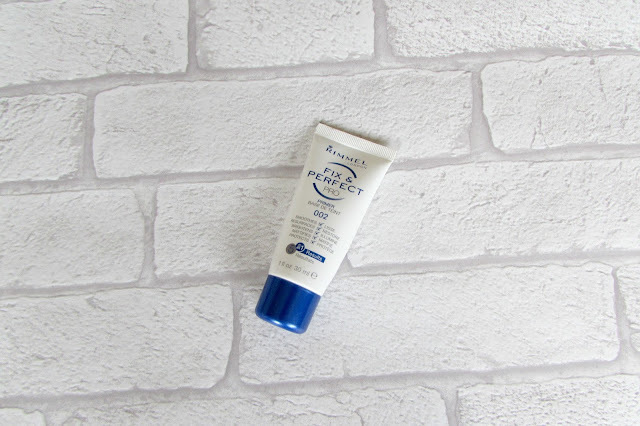 So this month I repurchased the Rimmel Fix & Perfect Pro Primer which I used to have in my collection when I first started wearing make-up and I used to love the primer then so I decided to pick this up again and give it a go again having more experience and stuff with make-up now. I adore this primer I really do but I normally hate silicone based primers. I love this one though I must say for me it takes a while to fully sink in my skin but I can tell the difference with how my make-up applies if I don't use this on my skin before my make-up so I'm glad I picked this up this month again. This is a foundation I seem to have in most of my favourites posts on my blog but it has to be back in here this month and it's the Estee Lauder Double Wear foundation. 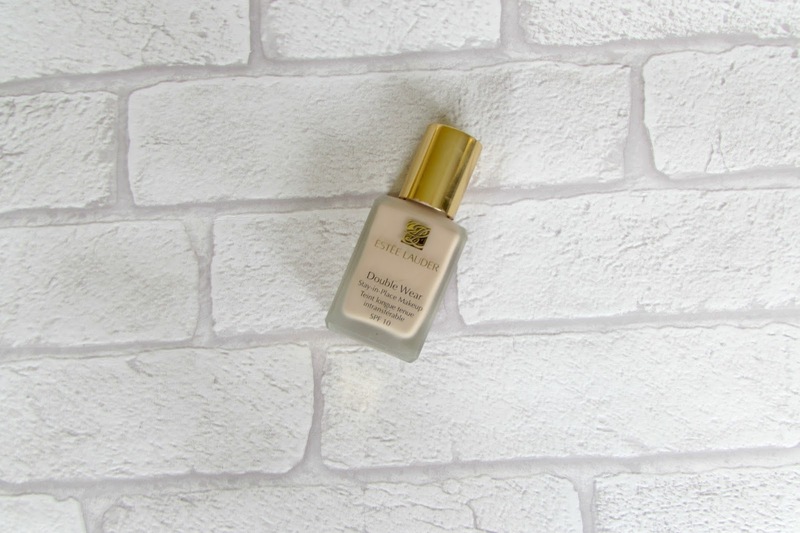 I have come to the conclusion that this may be my holy grail foundation. 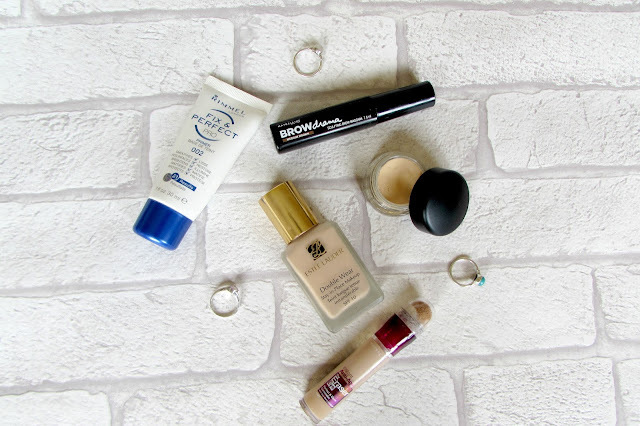 I recently switched to a drugstore foundation as I wanted to see if I could save money but it just didn't work for me so I went back to this and saw the difference in how my make-up looked and how well it lasted throughout the week. 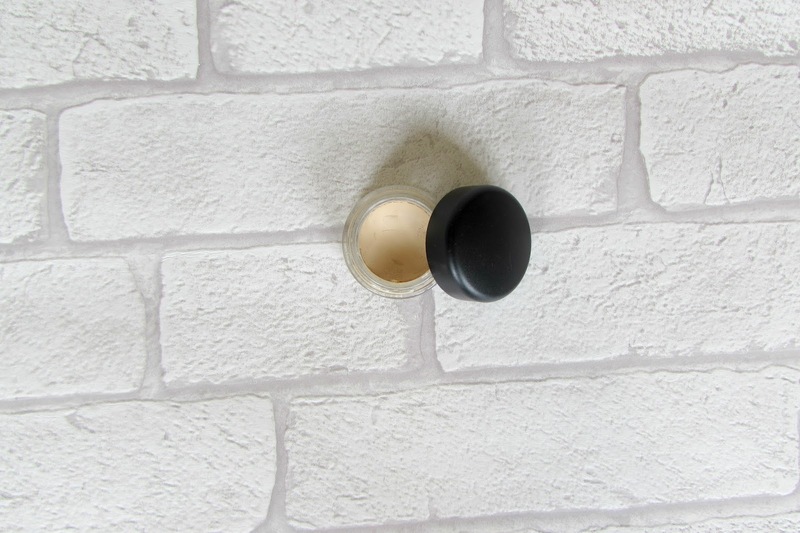 I really do love this and I would recommend it for anyone with oily skin and people with pale skin as they have perfect shades and if it suits me then it will definitely suit anyone. This was a new purchase this month for my birthday as I had seen everyone on YouTube and bloggers raving about this saying it worked wonders and I decided to pick it up. 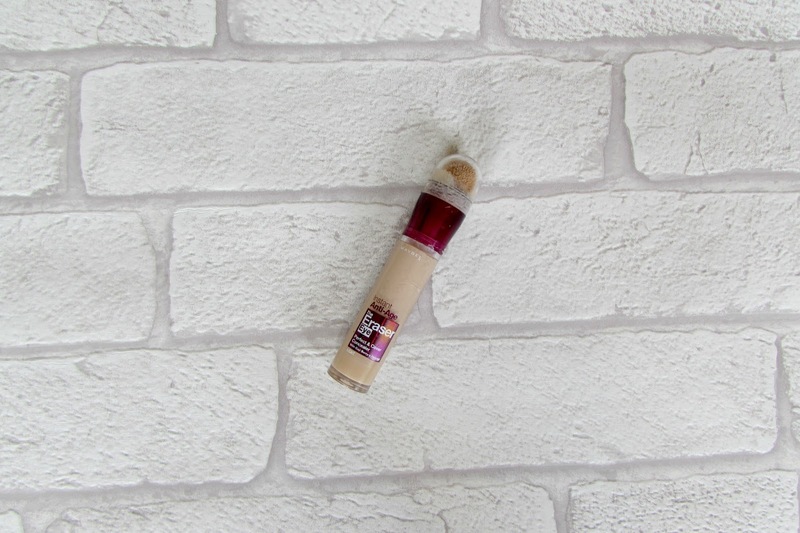 If you don't know what this is (You all will) it's the Maybelline Anti-Age eraser eye which I decided to pick up and try for my under eyes which I have to say they aren't so dark as they used to be but when I tried this I saw a difference straight away and my eyes looked brighter and more awake. I must say I wouldn't use this for anything else apart from my under eyes but I really do love this and will definitely repurchase it. The next favourite this month is an old one which I've had for a while and it's the MAC paint pot but like I said this month I've been putting more time into my eyes and I feel using this makes the eye shadows last all day and it definitely helps me hide my veins which are on my eye lids which is always a relief when I'm wanting to apply eye shadow to my lids. I'm starting to run low on this now but I'll definitely repurchase this as I know when I use this it'll do what I'm wanting it to. 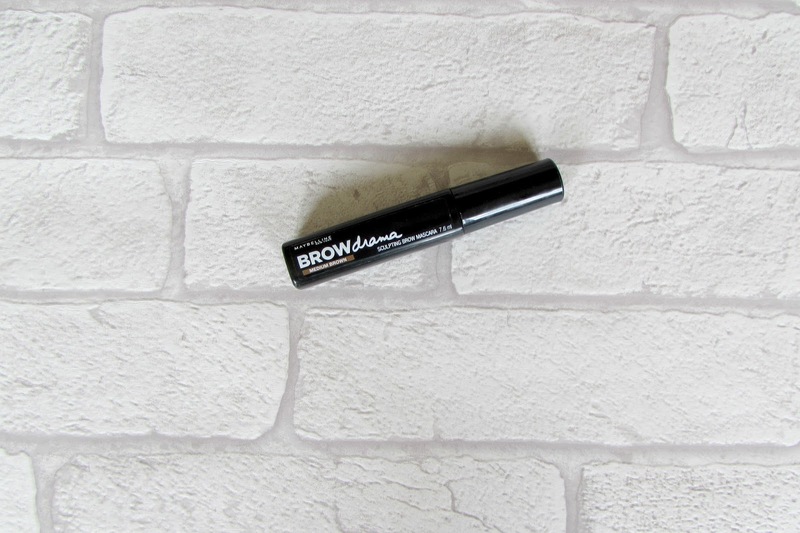 The next favourite is another new product I bought this month which is the Maybelline Brow Drama which I've been wanting to pick up a brow gel for a while which I can apply once I've done by brows to make them stay put all day but never seen one I thought would work. I saw people raving about this again so I decided to pick this up and I love applying this to my brows as I know it'll last all day on my brows and they wont move throughout the day which is what you need. I'll definitely repurchase this too when it dries out as I don't feel I could live without it in my routine now. MNEK: At night I think about you- I found this song on Spotify and I just fell in love with it when I first heard it. I love MNEK as an artist anyway but this song just picks my mood up straight away and it always makes me want to sing along and I love songs like that. Craig David: One more time- First of all I used to love Craig David and I'm so glad he's back but I just love this song and again it puts me in a good mood but I do think that's because it's Craig David. Shawn Mendes: Treat you better- So this song just makes me think of things I'm not sure why but when I hear this song it just makes me stop everything and just listen to the song I really do enjoy it though and I have to say I have warmed to Shawn as an artist now which is always good. What's been your favourites in the month of June?